Built for Australians, by Australians. This simple premise ignited the manufacturing sector with the affordable Model T. Manufactured in Geelong, the popularity of the Model T would drive demand for manufacturing operations to spread across the country. In 2017 The Royal Australian Mint presents a fascinating series of collectible coins attracting those celebrating the era of manufacturing by the Ford Motor Company of Australia. Ford began manufacturing in Australia in 1925 when Geelong was selected as the site for its first local factory. Creating thousands of jobs within Ford Australia and nurturing hundreds of local supplies. The effect of locally manufactured automobiles on our lives was significant - the daily lives of Australians were transformed in terms of how we arrived at work or social events, and how we explored our expansive country. As illustrated by the extreme popularity of other recent automotive-themed coin products, cars capture the imaginations of many collectors. 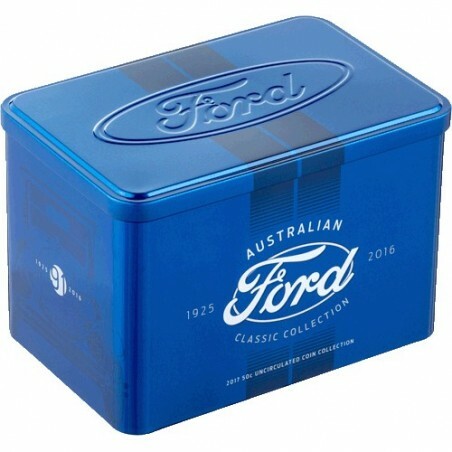 The Mint has worked in close collaboration with the Ford Australia Motor Company to bring you this limited edition collection, which includes the rare Ford Australia, The Manufacturing Era 1925 - 2016 uncirculated 50c coin. Each uncirculated coin is presented in a full colour card with corresponding vehicle model information. 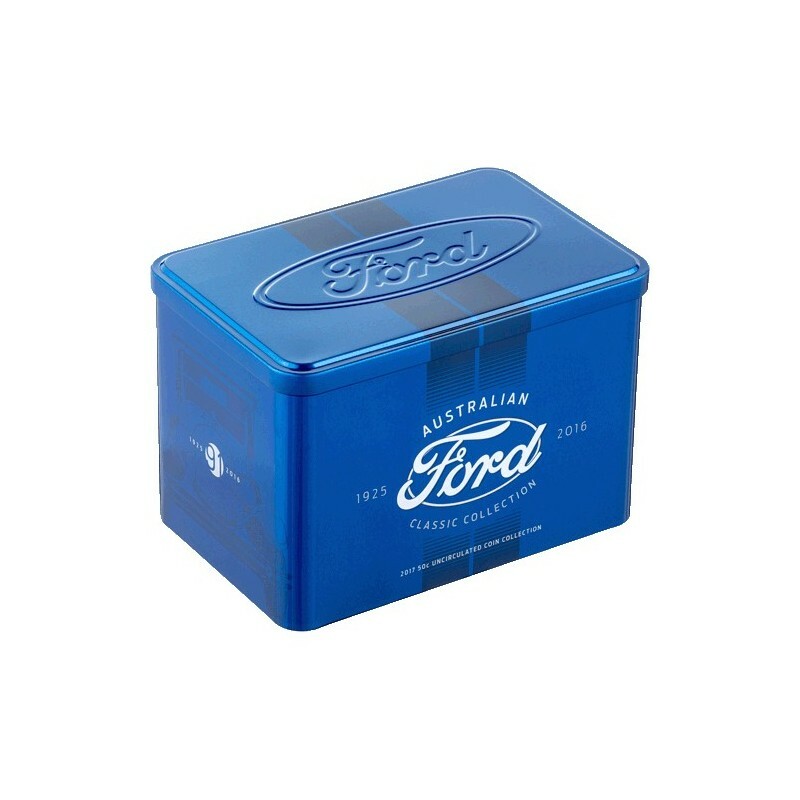 Presented in a retro-look limited edition tin with a Ford Australia timeline. Limited to 30,000 individual coins and only 10,000 for the special edition 50c uncirculated coin. The coins can also be purchased individually packaged in a card with information about the corresponding vehicle model. Special Ford Australia Coin only available in the set. Certificate of Authenticity : Royal Australian Mint Numbered Certificate of Authenticity.